In the last week in our office at the Pennsylvania Pro-Life Federation, we have been receiving calls from individuals who are so touched by the movie “Unplanned” that they want to become active in the pro-life movement. Keep in mind these are people who have never been involved in the movement before. They are drawn to a new activism by the compelling story of Abby Johnson, a one-time Planned Parenthood employee of the year, who has a change of heart and mind after viewing an ultrasound-guided abortion. There is something in Abby’s story that speaks to the soul. She is an ordinary woman who is lured into an industry which takes the lives of innocent babies. While she believes at the start that she is helping women, she learns the hard way that abortion harms, kills, and corrupts. Long before I entered the theater this past week, I had read Abby’s story in her searing first-hand account of “life” at Planned Parenthood, the nation’s largest abortion operation. So I was not surprised at the twists and turns in the tale. Still, I felt compelled to see the film… twice. I wept the first time I saw the movie. The second time, I cried all the harder. And I was struck by the thought that Abby’s pain could have been avoided, if only there were not a Planned Parenthood around to take advantage of women in crisis. 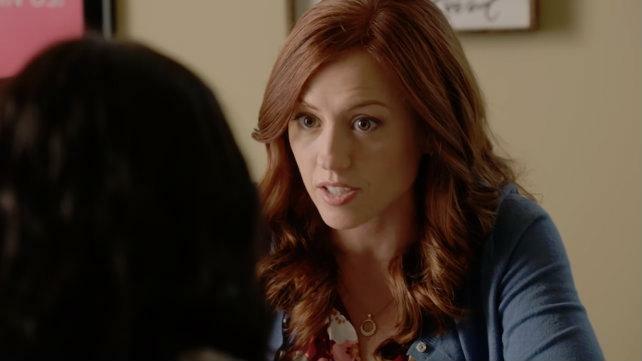 Without spoiling “Unplanned” for those who have not yet seen it, suffice it to say that Abby lost a great deal through her complicated relationship with Planned Parenthood. I have labored for a long time to seek an end to the tragedy of abortion. I believe that the movie “Unplanned” is a pivotal moment in not only the history of cinema, but in our history as a nation. For the veil is coming off the abortion industry, and people are seeing it—perhaps for the first time—for the tragic enterprise it is. But, like the people who call our office wanting to lend a helping hand, I feel as if I now need to do more. I want to redouble my efforts on the legislative and educational fronts, to draw attention to the inhumanity of abortion. I want to help the Abbys out there who are feeling unhappy, unsettled , and unnerved about their involvement with the abortion industry. I want to shine a beacon of hope into lives darkened by abortion culture. If you have not already seen the movie “Unplanned,” please do so as soon as possible. You can find where it is showing near you by clicking here. Abby’s story will not only touch your heart, it can rock your world!